Home of the 7-time WCLA National Champions! 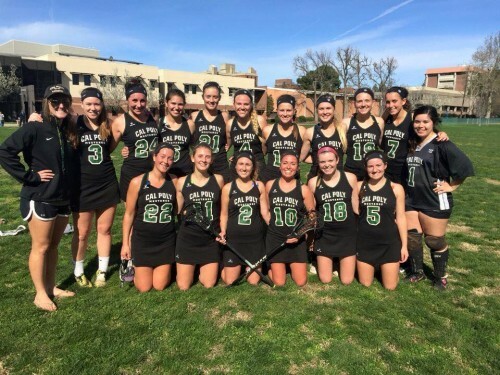 Cal Poly Women's Lacrosse was established in 1991 and competes in Division I and Division B of the Western Women's Lacrosse League (WWLL). 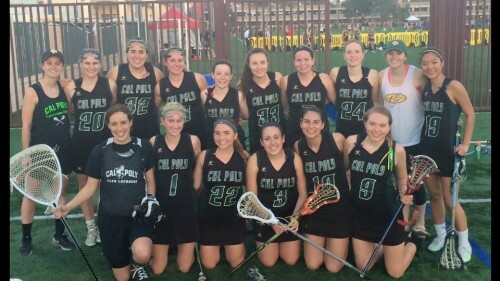 Home games are held at the Cal Poly Upper Turf Sports Complex (Field 1 - far field). Game schedule is listed on the Schedule/Results page. Winter practices are held Monday-Thursday from 6-8 p.m. on the grass fields near the baseball stadium, and Friday 5-7 p.m. at the Upper Turf fields. B team celebrates 4 wins at the SB Shootout!